Bee honey is one of the most popular foods because of its high content of essential nutrients and its cosmetic and medicinal applications. Since antiquity, this is a basic ingredient in women’s beauty skin care. It not only improves the appearance of the skin, but its nutrients also create a protective barrier against damage. It contains a high amount of amino acids, enzymes and antioxidant substances that together nourish the cells to regulate pH and improve the cellular repair process. In addition, it’s healing, rejuvenating and antibacterial properties which are useful for preventing premature aging and skin infections. The most interesting is that it can be mixed with other natural ingredients to obtain anti-aging masks at low cost. In this article we want to share with you 5 good options so that you no longer hesitate to look after your skin with the virtues of this wonderful ingredient. The mask with honey bees and oats is one of the natural scrubs that help cleanse the skin deep. Its moisturizing and repairing compounds help to eliminate excess dead skin while minimizing the negative action of toxins and sun. 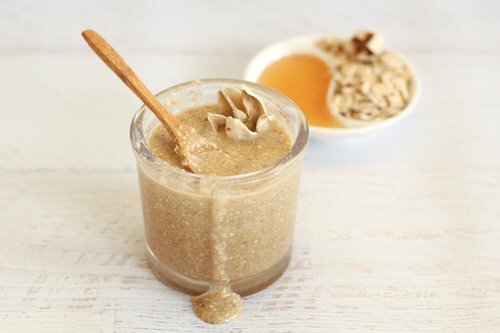 Mix the spoonful of oats with the honey to obtain a sticky paste. Massage the mixture onto your face and leave it on for 20 minutes. Rinse with lukewarm water and repeat twice a week. The night mask with honey and lemon juice is a treatment rich in antioxidants and natural enzymes that help to rejuvenate and detach the skin. It should be used only in the evening as subsequent exposure to sunlight can cause unwanted effects such as pigmentation. Mix the bee honey with the lemon juice and spread the mask over your entire face. The antioxidants of honey mixed with the healthy fats of coconut milk create an anti-wrinkle mask that improve the appearance of the skin in a very short time. Its nutrients repair fragile tissues and remove toxins that affect the cellular oxygenation process. Mix the spoonfuls of honey with the coconut milk. Clean the face and apply the mask until it is completely covered. Repeat each one before you sleep. 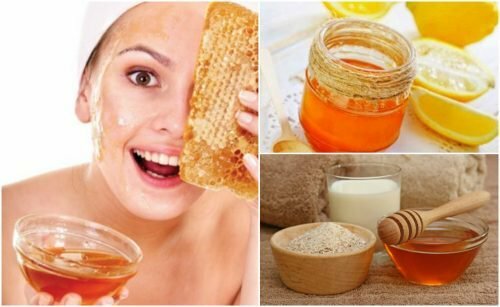 The mask with honey and aspirin has become popular in recent years, since its nutrients and compounds help to reduce significantly the fine wrinkles of the skin. Aspirin contains a substance called salicylic acid, the action of which reduces the presence of toxins, stains and other imperfections. Crush the aspirins and once you have the powder, mix them with the honey bee. Remove your makeup from the face and apply the mask with gentle circular motions. Wait for it to work for 30 minutes and rinse with lukewarm water. 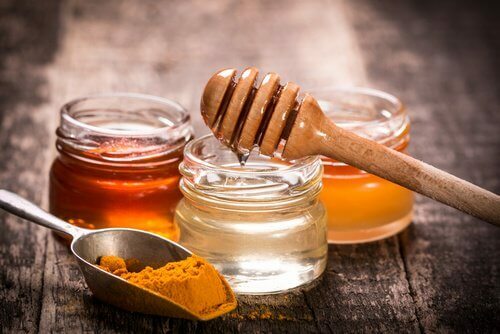 The honey and turmeric mask is a natural treatment that helps to correct imperfections that appear on the skin due to the sun and toxins. Its antioxidant properties give it a rejuvenating effect that significantly reduces stains and wrinkles. Prepare a thick paste with bees honey and turmeric powder. Spread it over your entire face and let it work for 30 minutes. Rinse with lukewarm water and repeat 3 times a week. Ready to try these masks? 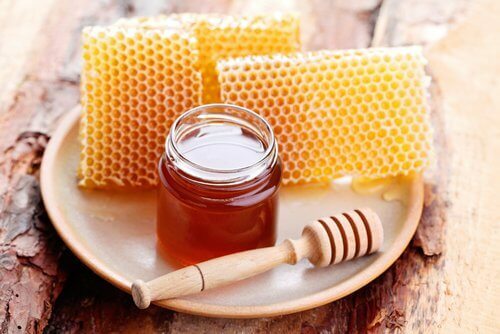 Choose the one you like best and add it in your daily beauty program to check for yourself the virtues of honey.